Add a special message to your next letter. 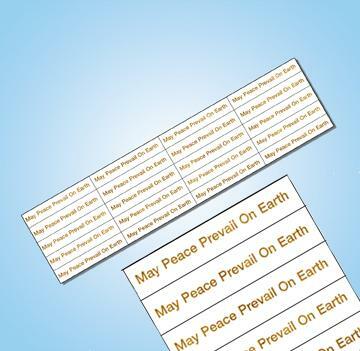 These Envelope Stickers feature a message of peace in gold lettering on a white background. 20 stickers per sheet. Available in English only.